AES outlines a new, more ambitious carbon-intensity goal. AES Corporation on Tuesday outlined a plan to slash its carbon intensity 70 percent by 2030. That's a leap from the power producer's original target, set earlier this year, of reducing carbon emissions 50 percent by 2030. Much of the plan hinges on the growth of clean energy. The independent power producer has laid out steps to expand investment in renewables, energy storage, liquid natural gas and energy efficiency. AES framed its shifting business strategy in both climate and economic terms. 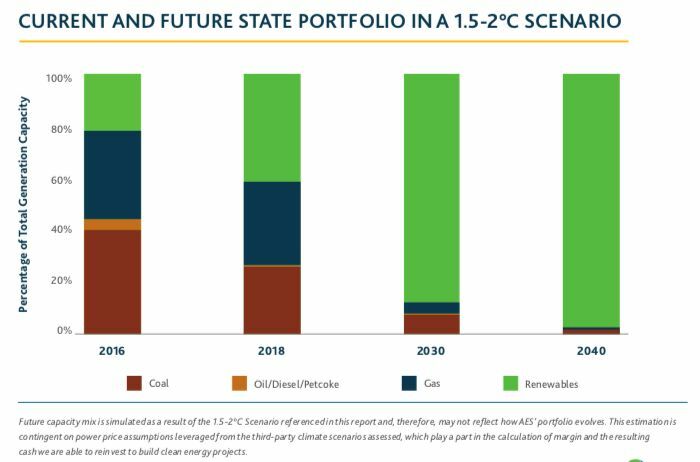 “Shifting our portfolio to cleaner sources of energy reduces our carbon exposure and overall carbon intensity while creating significant upside margin growth over time,” writes AES in a report on climate scenarios tied to the announcement. Since 2016, the company says it has worked to “reshape and de-risk” its portfolio. AES added 1.5 gigawatts of renewables and natural-gas generation. It also signed long-term power-purchase agreements (PPAs) for 1.9 gigawatts of renewables. At the same time, the company shut down 37 percent of its coal-fired capacity (another closure looks to be on the way). The company followed that up with the acquisition of solar developer sPower in 2017, in partnership with Alberta Investment Management Corporation. The purchase gave AES a pipeline of over 10 gigawatts of renewables. 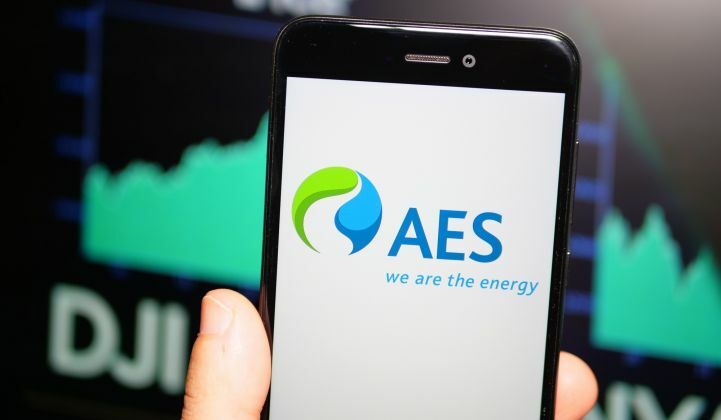 AES plans to grow its renewable energy portfolio, adding between 2 and 3 gigawatts of new renewable capacity per year. It will sign global PPAs totaling 7.5 gigawatts of renewable power between 2018 and 2020, which will increase the size of its current portfolio capacity by 20 percent. AES also plans to incorporate storage with many of its future renewables projects. Last year, the company paired up with Siemens on joint venture storage company Fluence. According to AES, that company has 650 megawatts of projects in 16 countries deployed or in the pipeline. AES is angling to get ahead in energy efficiency, too. It recently invested in energy management software company Simple Energy. In a climate scenario where the world stays between 1.5° and 2° C of warming, AES projects that energy efficiency will have to account for 44 percent of carbon mitigation. Liquefied natural gas will play a future role, too, with a focus on the Caribbean and Central America, where gas can replace oil and diesel. AES’ second terminal in the region is slated to open in Panama in 2019. AES did acknowledge this portion of the plan could face pressure if demand for "no-carbon" electricity grows. All of these strategies rely on AES’ analysis of three climate scenarios: business as usual; a warming of between 2 degrees and 3 degrees C; and between 1.5 degrees and 2 degrees C, which the U.N. has said is needed to avoid the worst impacts of climate change. In the most aggressive scenario, AES forecasts its generation mix could shift to nearly 100 percent renewables. In 2017, its generation mix across 16 countries was 26 percent renewables, 33 percent coal and 37 percent natural gas. Its portfolio, spread across geographies and technologies, is also designed to withstand the uncertainties of the energy transition, as well as extreme weather events that could imperil some infrastructure. The company is among many other energy peers reconsidering their role within the industry as the transition toward clean energy advances. AES, though, is moving at a more rapid clip. The company said further cost declines for renewables and potential carbon pricing could mean the retirement of most thermal assets by 2040.